I’ve tried chevron nails before but I wanted to make a YouTube tutorial to share how I prevent scotch tape from ripping off my base nail polish. 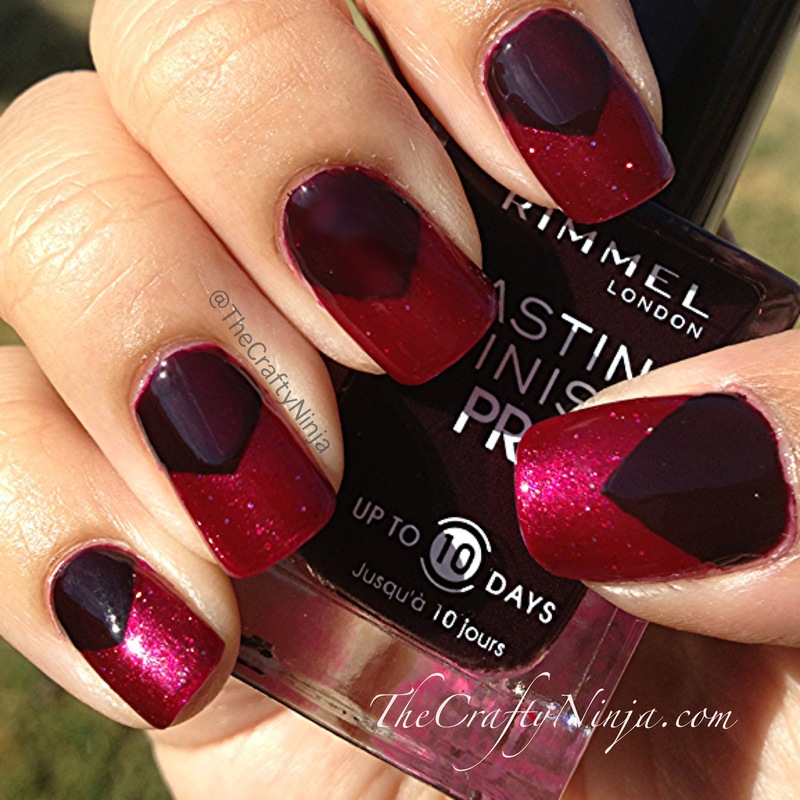 Here are my tips and tricks on creating this mani. Essie- Wild Thing. I love the maroon color with micro rainbow glitters but it’s a hard color to polish. After about five coats I got the desired deep color.